Personalised Boys Light Shade Blue. 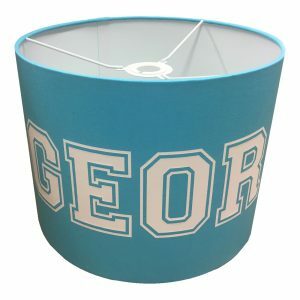 This blue light shade comes printed with a boys personalised name printed in white, idea for lamps or ceiling lights. 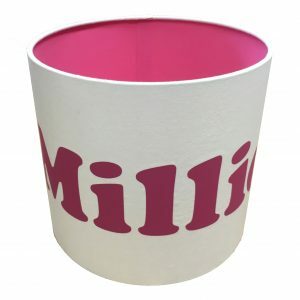 Personalised Girls Light Shade White/Fuchsia. This white light shade comes printed with a girls personalised name printed in fuchsia, ideal for lamps or ceiling lights. Please note this product can be purchased for a lamp or a ceiling light. But please note if purchased as one of the options the design will be upside down if used on the opposite lighting.